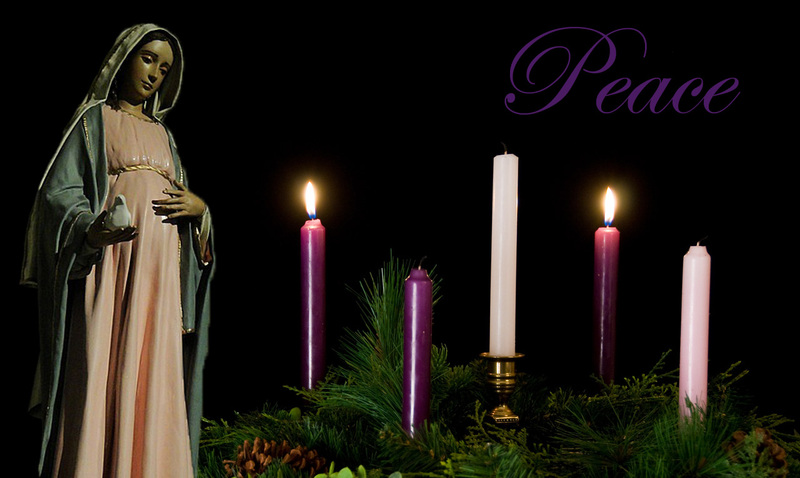 We now start the second week in Advent. This weeks candle that is lit is that of Peace. Jesus came to the earth to bring Peace to all. There is an inner Peace that only Christ can bring. When there is that internal struggle we can turn to Christ and allow Him to work in us and through us and when that happens an inner Peace may take hold as well. I do not know anyone who would say no to Peace in the lives. Peace settles our hearts, minds, and souls. We are able to focus when there is Peace in and around us. That focus can be place in the direction of God and Faith. I myself have only found that Peace when I turn and focus on Christ. Until tomorrow, God Bless, and may we focus on Peace this week so our souls can prepare itself for Jesus on Christmas.